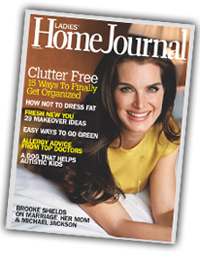 Privacy | Organize With Purpose!Organize With Purpose! At Organize with Purpose! (http://www.organizewithpurpose.com.previewdns.com/) your privacy is of utmost importance to us. As a member of NAPO-The National Association of Professional Organizers, we agree to abide by the NAPO Code of Ethics . All information gathered in connection with your organizing project is subject to this code of ethics. We will keep all personal information confidential and will obtain permission from you before taking any photos or publishing any information. Our Web server does not automatically recognize your e-mail address. In order to obtain your e-mail address, you must directly communicate with us via e-mail or fill out a form on our website. The information that we do collect on our site is not personally identifiable. The information is collected solely to provide a better experience for you. This is typically general information that may include where you log in, what keywords you used to find our site, what pages you visited, and other general information. This information is collected by “cookies”. These are small data files that are placed directly on your computer that include such information as the language you are using, the browser you are using, and other non-personally identifiable information. Should you become aware that a child under the age of 13 has accessed our site and provided any information please contact us immediately so this information may be removed. With regards to information that you supply, we may collect your e-mail address or other pertinent information to allow us to contact you. This information is for marketing purposes only. The only time this information would be disclosed is if we are legally required to do so. This would be at the request of authorities conducting an investigation, to verify or ensure compliance with policies, or based on applicable laws. It may also be used to protect against misuse or unauthorized use of our website. As part of your contact with us, you will receive various e-mails from us. These e-mails generally contain marketing information, specials, or other information exclusive to our business. You may elect to opt out of these e-mails from us either by sending us an e-mail, or by writing to us at any time. At no time, will we share, rent, or otherwise distribute our e-mail list to any third party. If at any time while you were on our site, you fill in a form that requests your postal address we may elect to send you periodic mailings. In general, this information is mailed to inform you about new products, services, or upcoming events. At any time should you wish to discontinue these mailings, you may do so by e-mailing us, writing to us, or phoning us. When electing out please provide the exact name and address that is receiving the paper mailings. At no time, will we will share, rent, or distribute our mailing list to any third party. If you elect to supply us with a telephone number, we will only use the phone number for information specifically requested by you online. At no time will we share your telephone number with any third party. From time to time, we may bring you advertising our first from advertisers that we feel may be of interest to you. As a result of this, you may see advertisements on our web-pages. When you visit our site, these companies may collect information that is not personally identifiable including your domain name, or your IP address. In order to understand the privacy policies of these advertisers, you are encouraged to review their online policies. From time to time, we may also provide links on our website to other websites. This may be links to articles, videos, or other information that you may find helpful or interesting. While we do our most to verify the validity of all links, we are not responsible for the content of those websites. These are not sites that are under our direct control. Before continuing to browse those sites, you should check their privacy policies as well as their terms of service. We request that you not provide any sensitive personal information via this website. Any information that you consider personal that you do not wish to be disclosed as it relates to your project should be discussed with us by telephone or in person. 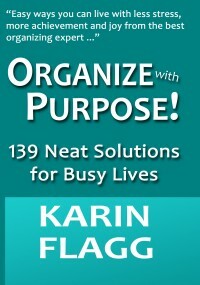 Company Name: Organize with Purpose!